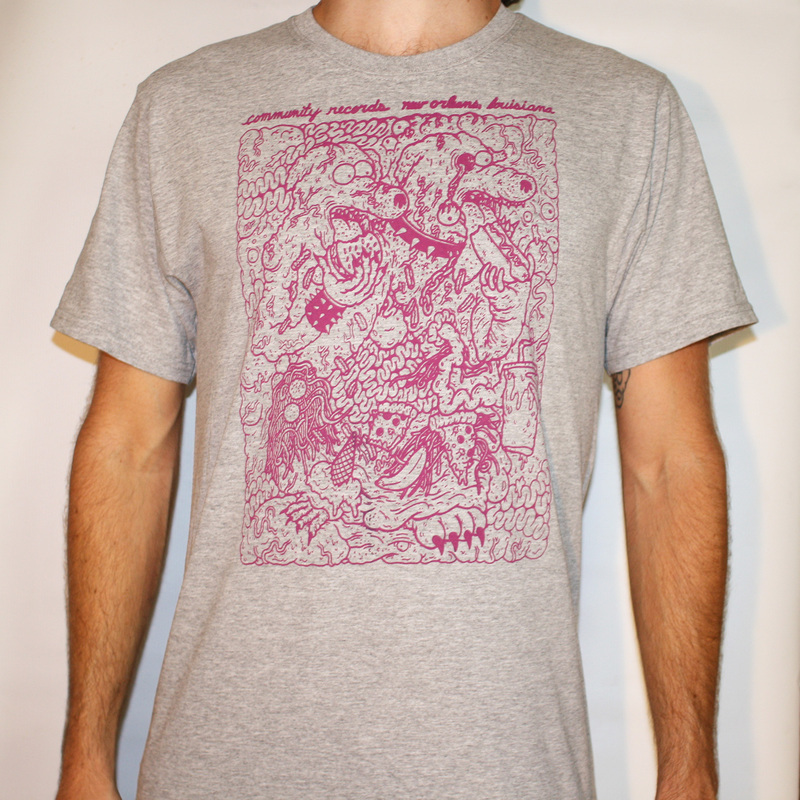 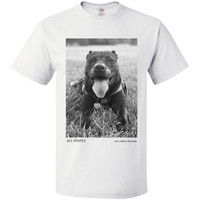 100% cotton sport gray shirt printed with medium pink ink. Design drawn by Otto Splotch. 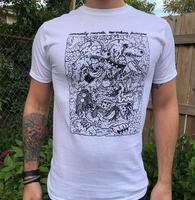 Dogs twisted in intestines, hot dogs, pizza, punk rock, and fun.